Layout and site plan of the Fishery. Layout and site plan with its 6 Lakes, Buildings and Central Car Park. 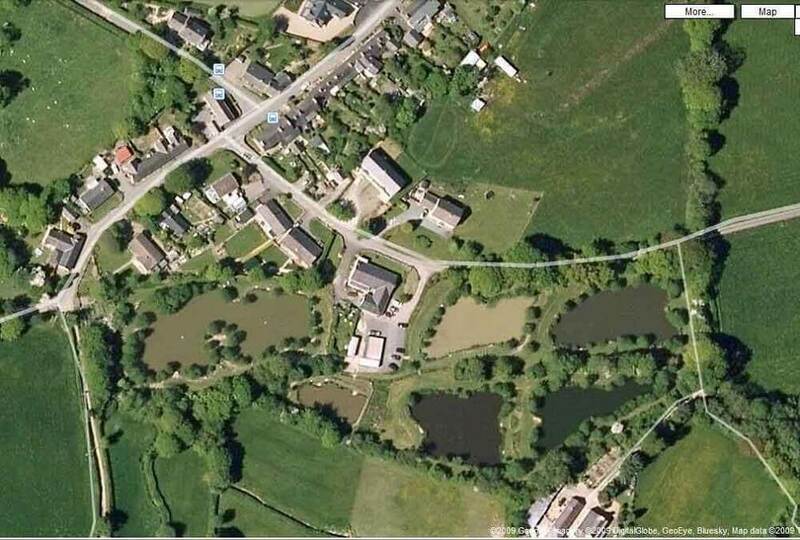 The Fishery has 3 Trout Lakes, 2 Coarse Lakes, and 1 Novices pool for Coarse Fishing. The Trout lakes hold Rainbows & Blues from 2lb plus Brown Trout. The Coarse Lakes hold all varieties of Carp (Ghost, Mirror, Common, Koi, Grass), real quality Roach, good Bream, Tench, Chub, Barbel and some good Eels. Click on picture for an enlargement (opens in a separate page). Use this link, to read our Disabled Access Statement. If you have any difficulties down loading or opening a PDF file, please download and install the latest version of Acrobat Reader on your computer which you can find here.